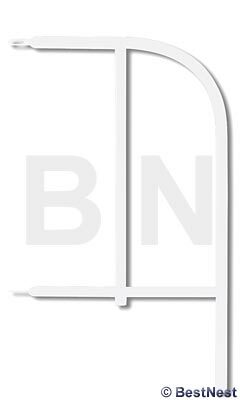 Beautifully finish your picket fence with the Panacea Picket End Panel in White. This panel threads through the Panacea Garden Fence Post in White, and stakes directly into the ground for sturdiness and support. The rounded edge at the end of the panel offers a finishing touch to straight fence lines, and the white color will add charm to any yard. Combine the Picket End Panel in White with Panacea Picket Fence Sections in White to create attractive fencing in your garden year after year.